It seemed to make sense – we all have different learning styles. You could take a learning styles inventory, find out your preferred learning style, and supposedly, that was the best way for you to learn. You might be a visual learner, spatial learner, a logical, an aural, physical, social, or solitary learner, and if you found out your best learning style, you would become a whiz at learning. The problem with learning styles, and finding out how we learn best to learn the most, is that the idea has no support from empirical research. It’s a neat idea, but not one that is valid. The point is not that there are not learning styles, but rather, evidence does not support that receiving instruction with a preferred style improves learning. So what is left? While the idea of learning styles to learn best has been debunked, strong research does suggest what does work best for learning. In Make It Stick: The Science of Successful Learning, Brown, Roediger, and McDaniel lay out the best methods for learning. While learning styles seems intuitive, they report that the most effective methods for learning are often counterintuitive. Make It Stick goes deeper and makes other claims as well. The focus for this article is that learning should be effortful, and easy learning through learning styles simply is not supported by research. Retrieval practice (flashcards, quizzes, tests) are the strongest ways to retain information. Since prior knowledge is required for new learning, having a solid foundation of information is necessary before learning can go deeper. Effort makes learning deeper and longer lasting. With this information in mind, the idea that learning is made easier when it is delivered through your favorite style actually doesn’t make any sense after all. If you’re looking for a great read to improve your teaching, and even your own learning, Make It Stick should be at the top of your list. Many faculty find online assessment features useful for administering daily quizzes. The grades are automatically reported and recorded in the gradebook, students are held accountable for class preparation, and such retrieval practice helps make learning “stick” (Brown, Roediger, & McDaniel, 2014). When administering quizzes online, students using different devices may experience a variety of problems, from the quiz not loading properly to the quiz seemingly not submitting properly. The problems can be dramatically reduced if students take some steps proactively. We have some suggestions that may help students minimize problems when taking quizzes in OpenClass. As you have students take the quiz or test, you can display this slide before students log in and during the assessment so students can troubleshoot before they ask for help. For added success in using the technology, have students restart their computer or iPad and empty their browser cache before they log in to OpenClass. Students should also consider applying updates to their programs before a test, since automatic updates can be disruptive in the middle of a quiz. You might also want to ask students to close other programs and browsers that are not relevant for a quiz. This prevents the most common problems and can save precious class time. 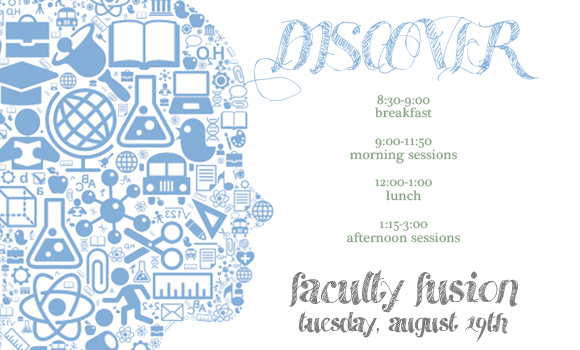 Let’s kick off another great academic year with Faculty Fusion, August 19, 2014. Save the date and register for activities at http://www.acu.edu/fusion or by calling the Adams Center at 325-674-2455. Registering saves your spot in each session and allows us to know how many to expect. We look forward to seeing you! How do students learn? What gets in their way? How can faculty set up our classes in ways that lead to optimal learning? This is what the faculty who piloted the new Master Teacher Program last year sought to understand. Join them as they talk about what they learned over the semester-long program and share practical tips for helping students engage prior learning, organize knowledge to build mastery, and become self-directed learners. In this presentation, we will share some common iPad apps to create content, manage your files, and interact with students. Most of these apps have been used and proven to be helpful by ACU faculty. We will also introduce the concept of “app-smashing”, or using a number of apps to accomplish your instructional objectives. Join Jonathan Stewart for an introduction to podcasting, and to learn how he and other faculty members have used it in their classes. Large classes can be very intimidating and often we feel like we are standing in front of a sea of faces with little engagement. This session will focus on strategies to make larger classes a friendlier learning environment. In this presentation we will share iPad apps that have proven to make learning “stick.” Such apps can help students develop study habits that have proven to be effective by evidence, such as retrieval practice. This session will include discussion, brainstorming and tips for designing a podcast that meets your goals. Recording a video can be a complex process. The checklist of settings for any given camera is often daunting, especially for someone new to the equipment. That’s why in 2013, the Learning Studio introduced a new solution for quick video recording: the One Button Studio. Join Kyle Dickson for a tour and brief tutorial on using the One Button Studio to enhance your classroom experience. This working session will be a time for participants to work on their podcasting scripts. Join Stephanie Hamm & Rachel Slaymaker as they examine gender equity and its challenges in a university setting. Current research indicates that students of today are more selfish and less empathetic than decades ago, largely due to this high-tech society. Come and hear ideas on how we can effectively mentor our students through jaw-dropping and innovative methods. This fall all ACU students and faculty will have access to Adobe’s creative suite of applications. Titles like Photoshop, Illustrator, and Premiere Pro (among others) are used by creative professionals around the world. So the question is, are these tools for the kind of work you need to do? Join us for a quick overview of Adobe’s Creative Cloud and training opportunities available to you this fall. Join us in the Maker Lab for a hands-on workshop on designing for and using the laser cutter. In Part 2 of the Podcasting workshop, Jonathan Stewart will lead a demonstration on recording a podcast in Garageband. There will also be working time to record the podcast you created during the morning sessions. Starting this year, ACU faculty will have access to a helpful new tool. Turnitin not only generates detailed originality reports for students’ written assignments, it also provides an efficient platform for online grading and peer review. It even includes a robust online gradebook, making it a helpful supplement to any LMS. Come to this session to set up your Turnitin account and learn to use its features by creating assignments for your upcoming classes. You should receive an email alert once the calendar is created and shared with you. Note: These instructions are also displayed if you click on the Calendar Edit tool in myACU (instructor-only tool with month calendar icon) and you don’t already have a calendar created for the course. How long will it take? Between 6am and 10pm this will typically take one hour. Thank you to Hab Adkins, Director of Computing Services, and the IT department for their work in adding this to our faculty’s course management options. Choose Your Own Adventure. Sounds fun, doesn’t it? During one of our recent “Best Practices” sessions, Dr. Matthew Dodd, assistant professor in the Duncum Center for Conflict Resolution demonstrated a teaching approach he has used successfully in his online courses. He uses video to create scenarios for his students to view, explore, create-the-right-ending, and other ways to engage his students in learning. These videos can then be used integrate theory, practice, and other application of conflict principles in professional and personal situations. Dr. Dodd is one of ACU’s online teaching guru’s and has recently published this, and another practice, in the highly acclaimed University of Central Florida’s peer reviewed Teaching Online Pedagogical Repository (TOPR). Matthew Dodd (2014). Use branching videos to engage students. In K. Thompson and B. Chen (Eds. ), Teaching Online Pedagogical Repository. Orlando, FL: University of Central Florida Center for Distributed Learning. Matthew Dodd (2014). Engage adult learners with course-long role play. In K. Thompson and B. Chen (Eds. ), Teaching Online Pedagogical Repository. Orlando, FL: University of Central Florida Center for Distributed Learning. The Adams Center would like to thank Dr. Dodd for sharing his expertise. 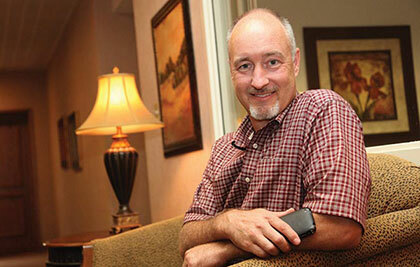 To gain further insights from Dr. Dodd, email him at: mjd95o@acu.edu. We recently invited a number of our faculty members to showcase their online course/course components during one of our “Best Practices for Online Teaching” workshops. 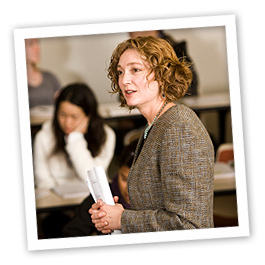 Dr. Melinda Thompson (Assistant Professor and Director of Distance Education at the Graduate School of Theology) introduced an effective approach to have her students collaborate on their translation assignments. Usually class translation is a “lone ranger” kind of assignment, though Bible translation and ministry activities often require collaboration among different people. Dr. Thompson intentionally designed this collaborative translation activity to cultivate habits of working with other people to produce quality work. In this activity, students translated – from Greek to English – the Gospel and Epistles of John. Dr. Thompson put together a rigorous process for team translation. Each of her four teams consist of 4 students, who take assigned rotating roles of (1) primary translator, (2) text critical work, (3) literary considerations and commentary work, and (4) theological claims and application for sermon or Bible lesson. Students shared their work with their teammates through Google Docs. Adams Center: What made you decide to have students collaborate on translating a book? Dr. Thompson: Language study, by nature, is mostly individualized. Even if you attend a study group you still have to learn the forms and vocabulary for yourself. But Bible translation – for modern English translations especially – is almost always done by committees. On top of that, our students are training for ministry in congregations or small group settings. I wanted to give these students – who had already gone through a semester of individualized work on grammar and vocabulary – a more authentic experience in translation and exegesis. I also wanted to reinforce the concept that translation should never be done in a vacuum. Even the best language work should be checked and balanced through interaction with others. Adams Center: How did students respond to this process? Dr. Thompson: Student response was very positive. They appreciated seeing how translation fits into the larger process of exegesis, especially with an eye toward preaching or teaching for a congregational setting. Sometimes students struggle to understand how parsing verbs or memorizing long lists of words applies to their vocational goals. With this project, students come out with a semester of practicing translation as part of lesson or sermon prep. They also have spent a semester collaborating with others to create a community-based interpretation of the text. My hope is that this experience will encourage them to continue using their language skills after the class ends and will encourage them to seek out the input of others when considering the meaning or application of a particular text. Adams Center: What kind of pedagogical considerations went into this design of collaborations? Dr. Thompson: We did need to establish some ground rules at the beginning which helped iron out general group-work concerns about students not pulling their weight or not getting things shared in a timely manner. Because this was a fully online class comprised of students from across the globe, it was more difficult sometimes to enforce group work. When I teach this class in residence next year we’ll use the class meeting times (in a “flipped classroom” style) to ensure that students have space for collaborative work. We would like to thank Dr. Thompson for sharing her method. We also hope that you can be inspired by her approach in creating innovative teaching experiences for your students. Use the “save as” function of Word to save your document in “plain txt” format, re-open it in Notepad or another plain text reader. Copy from this program into the corresponding editor windows of your learning management system. You can also toggle to the html mode ( )when copying content over, as this html mode will not keep any formatting you originally have. After you have copied the content over, you can then toggle back to the normal view, and make and format change you need. It is better to format the text with the editor that comes with the learning management system. If you have short descriptions you want to copy over, you can paste such content in an address bar of a web browser you are working with, which will remove all formatting, and then copy it into the editor of your LMS. If you use Moodle, Moodle has a tool ( ) in its text editor for you to “remove formatting”. If you have a document that goes beyond one page, consider converting it to a PDF file and attach it in your LMS, instead of copying and pasting the text to the learning management system’s editor you are using. If you are working with a test, we recommend that you get our help using Respondus to convert the Word file into a test file, instead of using copy-and-paste methods to create your questions. Respondus can clear all such formatting in a batch, instead of you having to do this question by question. Contact the Instructional Design team if you need assistance with this kind of task. Restoring a past course to check certain information. Usually you do this at the end of the semester, but you can do so multiple times during the semester as long as you have space to store such files. CourseSites gives you the option to “export” or “archive” a course. The former allows you to mainly export the content of the course, while the latter allows you to preserve student activities (especially Grade Center history) as well. Check this tutorial for instructions on archiving your course. If you export a particular type of content (such as tests only) from one course to another, you may want to consider using “export course” function to export the source course first (see tutorial), and then use “import package” to import (see tutorial). You can also download your Grade Center data for backing up or for offline grading. Check this tutorial for details. If you intend to use this option to grade offline, make sure there is no change in columns or users between the time you download the grades and the time you upload the Excel file back. Tellagami is a great mobile app. You can use a photo (or a stock) background. Add voice or type in dialogue. You can send it by text, twitter, email, and embed one in an online class.